In 2009, the Indonesian government made a commitment to reduce greenhouse gas emissions by 26 percent, with 87 percent of these reductions expected to come from land-use improvements. This commitment was quickly supported by the Norwegian government, which pledged $1 billion to aid Indonesia’s emission reductions effort, with funds made available on a results-contingent basis. In May 2011, as a part of this lucrative agreement, Indonesia announced a 2 year moratorium on new licenses in 28.4 million ha of primary natural forests and 14.8 million ha of peat lands, which was extended for an addition 2 years in 2013. The carbon protected under the moratorium is equivalent to 92 Gt CO2e—almost triple annual global greenhouse gas emissions. While important in terms of providing time for reforms—such as building coordination capacity to enforce and monitor land-use related change—the moratorium has some major loopholes. First, it does not revoke pre-existing concessions, which represent 16.3 percent of the area within the moratorium. Secondly, the moratorium does not protect secondary forests, which makes up 15.6 million ha (36.0 percent) of the moratorium area. Combine these loopholes with the fact that boundary enforcement is still a significant challenge and it’s easy to see how the moratorium could be perceived as a token gesture. One of the biggest challenges with the moratorium is the lack of local enforcement, in large part due to local understanding. In a 2014 study, WRI attempted to evaluate local understanding of the moratorium within five agencies responsible for moratorium enforcement. Representatives from eight districts within Riau and Kalimantan were asked about their responsibilities under the moratorium in three key areas: awareness, monitoring, and enforcement. Overall there were very low levels of understanding regarding key aspects of the moratorium, especially within the agency responsible for determining whether or not agricultural permits violate the moratorium, and the agency responsible for managing permit data. These agencies could only answer 1-2 questions about the moratorium in at least 6 out of the 8 participating districts. The agency responsible for monitoring private sector activities on peat lands only answered 1-2 questions in half of the districts surveyed. Despite enforcement issues, forest governance reforms during the moratorium may be the moratorium’s redeeming quality. The moratorium itself mandated improvement of forest management through gathering and consolidating geospatial data, standardizing this information across ministries, and improving the permitting process through streamlining regulations and increasing transparency. One of the most successful initiatives under these revisions is the development of a map detailing the moratorium area, called One Map. This initiative serves a vital purpose—it aims to standardize data on land-use throughout Indonesia’s various ministries. Prior to this initiative, each ministry and local government used their own maps, often showing different boundaries. As a result, coordination between ministries on permitting and moratorium enforcement was virtually impossible. The final map is expected out this year. The initiative includes an effort by Indonesia’s REDD+ Task Force to create an online database of all forest licenses. A number of different agencies, which are not required to coordinate, administer forest licenses—as a result, there are a number of overlapping permits. While the One Map initiative and others mandated under the moratorium have made significant steps towards improving coordination between agencies involved in forest management, coordination between the federal governments and local governments is still severely lacking under the One Map initiative. This is due to a number of structural and economic factors, a detailed discussion of which can be found here. While the struggle between local autonomy and federal commitments remains a problem, the improved coordination between agencies involved in forest management is an encouraging step. The Indonesian government is working hard to deal with its internal coordination issues—however, it will take time. The governance structure in Indonesia is still very new—having transitioned from an authoritarian government to a democratic republic in 1998—and the process of decentralizing power comes with a number of new barriers, coordination being only one. 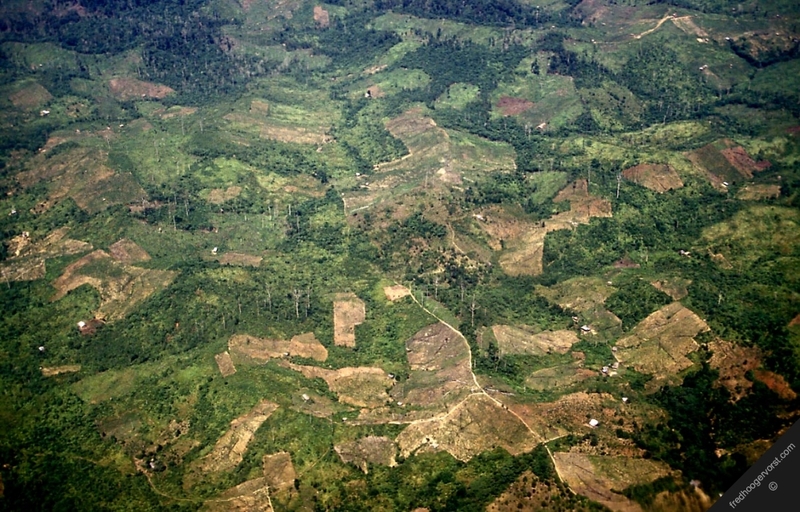 As a result, the moratorium’s success may lie in the fact that it has poured money into making the connections necessary to implement land-use reform, while pausing, or at least slowing, deforestation. This step in the right direction, however, is not the end-line. If the Indonesian government wants to meet its target, the moratorium is going to have eliminate its loopholes exempting secondary forests and pre-existing concessions.